The arts perform a vital role in the growth of human consciousness because they create sensory experiences and help the development of perception and aesthetic awareness. If we use the exploration of social and cultural contexts as the framework for developing visual arts curricula, then the nature of learning experiences will be much more diverse. 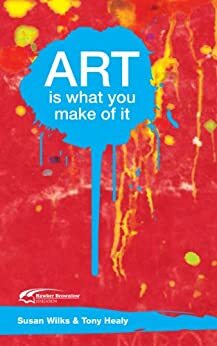 Art Is What You Make of It assists teachers to engage their students, from the middle years and beyond, in the exploration of complex issues presented by artworks of both contemporary and past eras. The term “artworks” here encompasses all aspects of the fine arts, design and digital media. The scenarios and examples in the book examine the blurring of boundaries between art forms; art which is ephemeral or which exists only in photographic, technological or other forms of information storage; and art that seems to deliberately set out to upset or offend the viewing public. The scenarios and information in Art Is What You Make of It offer fruitful and stimulating starting points for inquiry, and assist in the development of a better understanding and appreciation of art’s diversity and complexity. The issues raised and the discussions that stem from this book can lead to exploration of issues that range across disciplines and year levels.